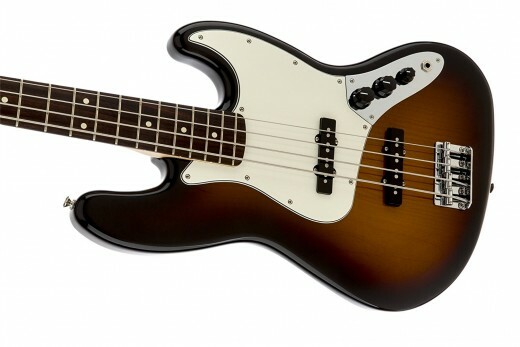 The Fender Standard Jazz Bass is a great choice for mid-level musicians. After you've been playing bass for a while you might find you no longer feel the magic when you pick up your instrument. Sounds that used to get you fired up and excited to practice just aren’t there anymore, and suddenly your bass seems lifeless and dull. You can fiddle with as many knobs as you want, but it probably isn’t going to help. Something fundamental has changed, it seems. Indeed, something has changed. But it’s not your bass. It’s you. All of that time you’ve spent developing your skills as a bassist hasn’t just improved your technical skills and theoretical knowledge of the instrument. It has also improved your ear for tone, and you've become more discerning when it comes to the sounds you'd like to hear from your amp. This is one of those good news and bad news things. The good news is you are starting to develop your ear. The bad news is your beginner bass setup probably isn’t going to cut it any longer. 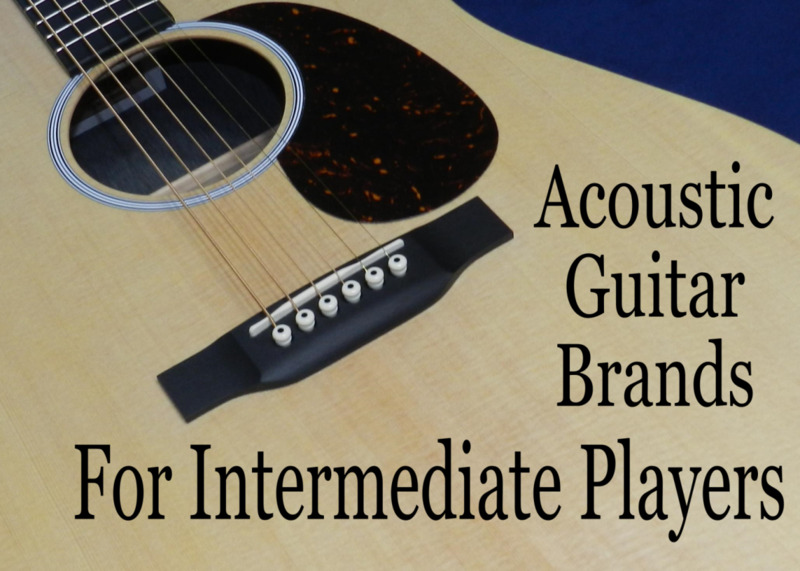 You need an instrument that better matches your skills. Intermediate-level bass guitars are instruments that have the sound and quality to get you into your first band and playing some gigs. These aren't pro-level instruments, but many of them certainly have what it takes to get the job done for serious musicians. In this article you’ll read about my top picks when it comes to bass guitars for intermediate players. These are instruments I’ve used myself over the years, and they’ve impressed me enough for me to recommend them to you. I’ll also include a few honorable mentions, basses I think are great options but didn’t make my top tier for one reason or another. It has to be affordable. I’m thinking of instruments roughly around the $600 mark, give or take a few bucks. 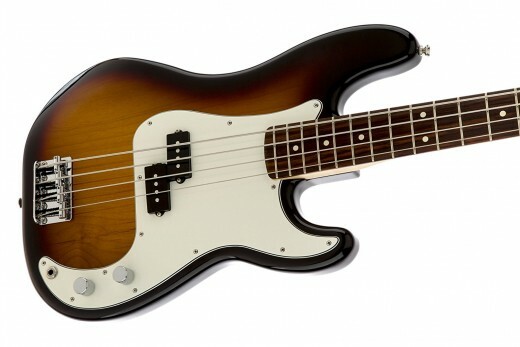 Of course you can spend a lot more on a good bass, but as an intermediate player this will be your first real instrument and it shouldn’t break the bank. I’m also a firm believer that you don’t need to play pricey gear to sound great. After a certain point, the sound is all about you. It has to be high-quality. These are basses that I feel offer a little more than their price tag would suggest. There is some trial and error involved in figuring out which instruments offer the best value, and that’s one of the reasons I write these articles: To share the experiences I’ve accumulated over thirty years of playing so you don’t have to make the same mistakes I did. Plus, they're made by some of the top bass builders in the world, and you can expect quality. It has to sound great. I wouldn’t recommend an instrument that I don't personally think sounds good for a mid-level player and even a professional musician. That’s a no-brainer, and of course a subjective requirement. However, again this is based on my experience. I’ll tell you what I think, and what instruments I believe are best for what style of music. You can take it from there. Should you go with a five-string bass? That's up to you. If you feel the extended range is useful it may be a great idea. Five-strings are especially good for metal players who need to compete with seven-string guitars, and jazz bassists who like to be able to run through scales without having to change fretting-hand position. Most of the guitars in this article are available in a 5-string model as well as a 4-string, and some are available in 6-string models as well. The choice is yours. So let’s get to it! 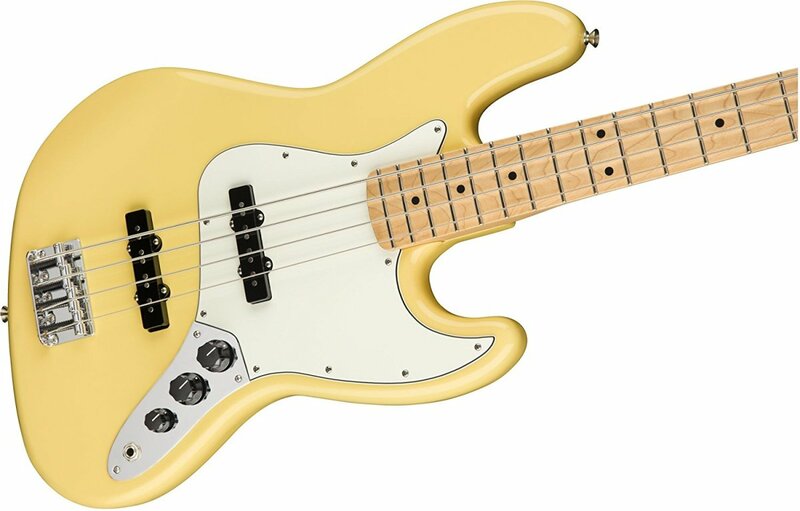 Here are some amazing bass guitars for mid-level players. My top pick here is the Ibanez SR500. I’ve long been a fan of the Ibanez Soundgear Series basses and for years I played them in metal and progressive rock bands. There are many models, and a bunch that fit into this price range, but I think the SR500 is a great place to start. It’s a good-looking and affordable instrument that hits all the points the SR line is known for. The SR500 features a mahogany body with a 5-piece Jatoba/Bubinga neck and rosewood fingerboard. I love mahogany for bass guitars, and this bass is what steered me toward that way of thinking. It’s warm and resonant and really lets those lows rumble. It makes a solid chassis for a great instrument. To me, the electronics are where Ibanez SR basses shine. There is a pair of Bartolini MK1 pickups controlled via a single volume knob, a balancer knob and a three-band active EQ and a mid-frequency switch. You can dial in the sound you want, and switch it up onstage without having to mess with your amp. Ibanez SR instruments are a favorite of both metal and jazz bassists, which tells you a little about the versatility you’ll find here. The flexibility of the EQ section is a big part of it, but so is the playability. Ibanez bass guitars are known for thin, fast necks, and if getting around the fretboard in a hurry is important to you this is exactly what you need. This bass is the best choice for metal, jazz and hard rock players. Really, for anyone who needs a bass with a fast neck and a precise, flexible EQ. The Fender Precision Bass and Jazz Bass are two legendary instruments that have been around since the dawn of the electric bass guitar. But the Standard American versions are a little expensive for the average intermediate guitar player, so they aren’t on my list. The Fenders that did make my list are the Standard versions of these great instruments. Confused? Here’s the deal: Fender makes affordable versions of their classic American-made instruments like the Jazz and Precision Bass under their Standard Series of guitars and basses. These instruments are made in Mexico, and you’ll often hear them referred to as Mexican or MIM Fenders. These MIM Fender have earned a solid reputation for sound and quality. Many veteran players, me included, have used them in bands and gigging situations, and some bassists even prefer them to the American versions. 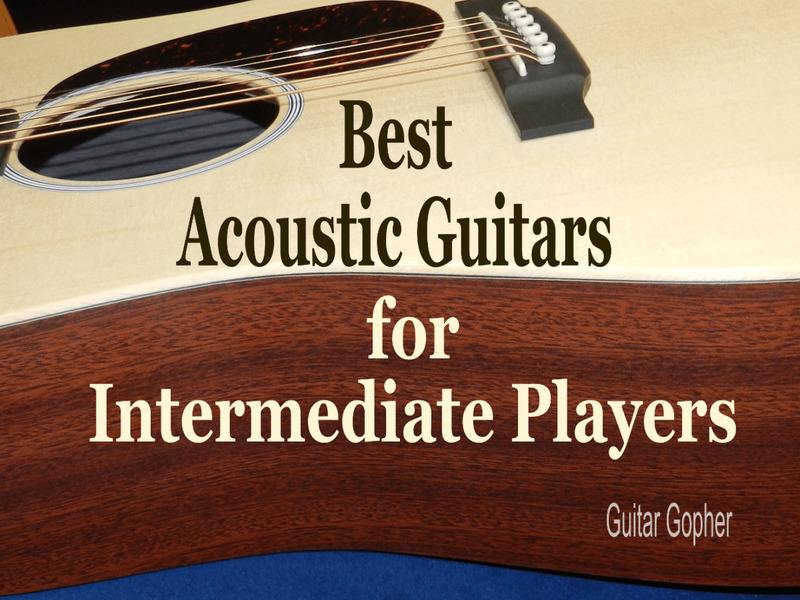 They are certainly more affordable, at about half the cost of their American cousins, and that makes them a great choice for intermediate players. I’ve lumped the Precision and Jazz together here, hopefully for the sake of simplicity. Aside from their birth place, they share a few similarities, such as: Alder bodies with a polyester finish, modern C-shape maple necks with 20-fret rosewood fingerboards, vintage-style bridges and open-gear tuners. Jazz Bass: Two single-coil pickups controlled via a pair of volume knobs and a single tone control. Precision Bass: Single split-coil pickup controlled with a single volume and single tone control. Also available with a one-piece maple neck and fingerboard. Practically, the Jazz Bass is a bit more versatile and you can dial in a wider range of tones. It’s a great choice for rock, blues, country and obviously jazz. The P-bass is a little more aggressive and punchy. It’s also a great bass for almost any style of music, though between the two instruments this one may be better for hard rock and metal. Both basses have passive pickups and EQ systems, which are not quite as powerful and versatile as that found on the Ibanez above. However, many bassists prefer passive pickups for their more natural sound. So, which should you choose? Between the two, personally I prefer the Jazz Bass. I've owned several of the MIM versions. They're affordable, they sound great and they have never let me down. Schecter is another brand I’ve had great experiences with over the years. The Stiletto made my list for all the reasons I’ve come to appreciate other Schecter guitars and basses: It’s a quality instrument that seems to cost a lot less than it should. I played one for a little while, before I went back to Ibanez. It’s on my list of gear I wish I never parted with. The Schecter Stiletto Custom has a mahogany body and a flame maple with walnut top, and a maple/walnut 5-ply neck with a rosewood fingerboard. It has a set of EMG 35HZ pickups controlled by a one volume and one blend control and an active two-band EQ. 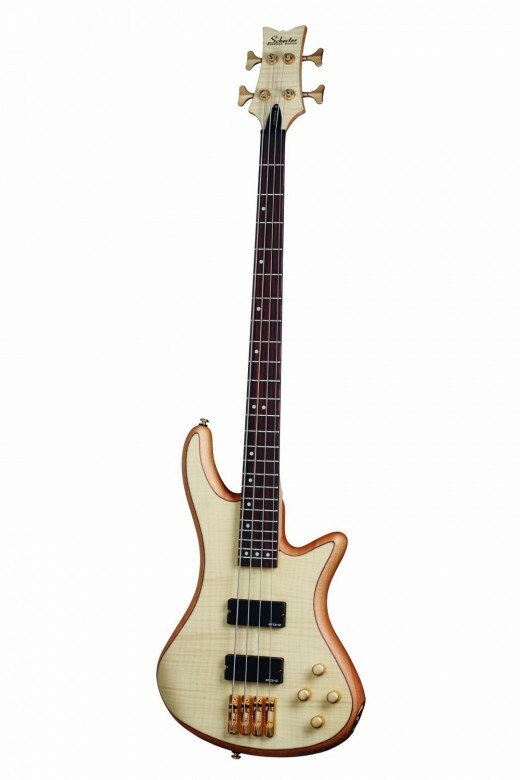 This is a gorgeous bass, with a thin neck and a versatile EQ section. It has that mahogany body I love, with some very attractive appointments. However, when it comes to cost this instrument is at the top of the price range I talked about earlier. It is worth every penny, but if you don’t have the coins you may want to look at something else. Like the Schecter Stiletto Extreme 4. It still has that great mahogany body, this time with a flame maple top, but lacks some of the appointments of the pricier Stilettos. The pickups are Schecter Diamond Series instead of the EMGs, but you get an active two-band EQ section. The Stiletto Extreme is another good-looking bass, and with a price difference of a couple hundred bucks it may be the better choice for you. 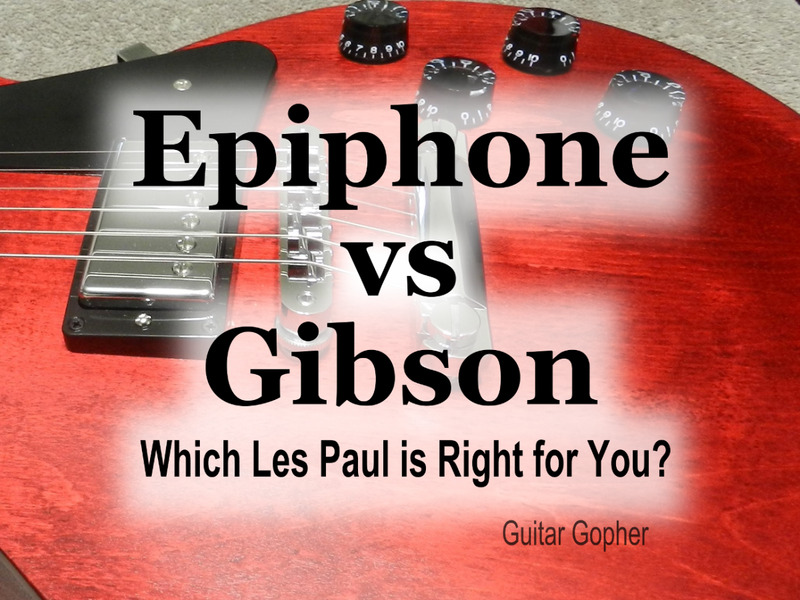 Either way you end up with a solid instrument that has the sound for pretty much any style of music. In my opinion these basses are the perfect choice for modern extreme metal, but like the Ibanez above they can span genres as diverse as rock, metal and jazz. Here are a few more picks that didn’t make my top three for one reason or another. Check them out and you might find one of them is right choice for you. Washburn Taurus T24: This is the dark horse in this review, and also the most affordable instrument. 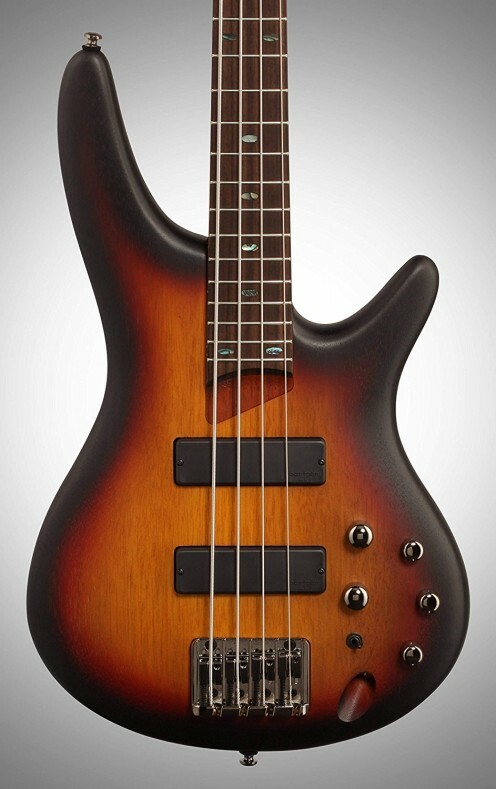 It has a mahogany body with a neck-through build, which is pretty cool for a bass in this price range. It has a modern look and feel combined the natural sound of passive pickups. Epiphone Thunderbird PRO: Love it, but this is not a bass for everyone. It’s got the looks for metal and hard rock, and this is where this instrument has made its mark. If that’s where you’re at, go for it. The Gibson Thunderbird is a classic, made affordable through the Epiphone brand name. Warwick RockBass Corvette Basic: I’ve owned a couple of Warwick Corvettes, but they were the big-daddy German-made versions. I really loved these basses. The RockBass lineup is Warwick’s way of making their legendary instruments affordable for intermediate-level bassists, and they are well worth checking out. Metal: Consider the Ibanez SR500 or the Schecter Stiletto Custom. These basses have the powerful EQ shaping you need to cut through the mix. I think the Ibanez SR Series is especially great for players who use a pick. Hard Rock: The same advice as above also applies here, but also think about the Fender Precision bass. It has passive pickups, but a fairly aggressive and punchy sound when dialed in right. Rock: Any of the basses listed in this review would do well in rock music. Make your choice based on your own personal playing style. Jazz: Think about the Ibanez SR Series for its tone shaping and fast neck, but of course you also want to consider the Fender Jazz Bass. It’s a classic for a reason. Blues: I’d prefer a bass with passive pickups like one of the Fenders. They tend to sound a little more organic to me ear. Country: For modern country-rock you may want a flexible bass like the Ibanez. For more traditional country I’d go with a Fender. Good luck moving up from your beginner’s bass and finding the right intermediate-level instrument to match your abilities! Which bass will you choose? @Kent - If you like the Rumble Series you can go with a bigger Rumble, The Rumble 500 is fairly affordable and has all the power you could need. Good luck!